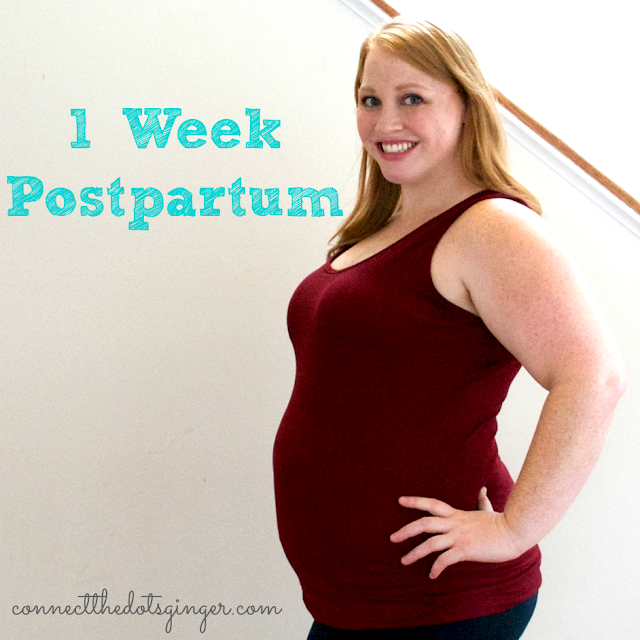 I am 1 week postpartum. 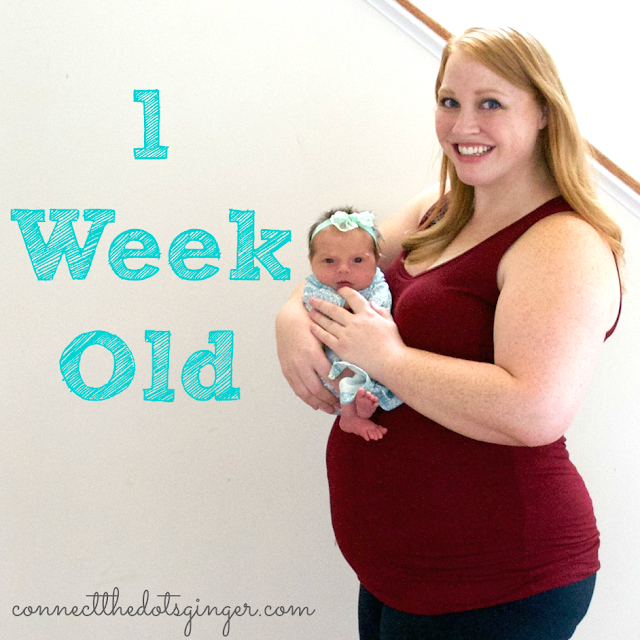 I can't believe that I have a week old baby. I was so anxious to get her out and now she has been with us for 1 week. But on the other side of that, it feels like she has been with us forever. It is a very weird feeling since she hasn't been with us forever but she just fits right in. Transition to a family of 5 has been a little rough. Mason was scared at first of her, but quickly got over it. He is eager to help me and her. He loves her so very much. Collin on the other hand, he has turned into a little gremlin. He is not liking the attention being on someone else. So he has been acting out. But he also loves her so very much. He will give her kisses and hugs and asks to hold her all the time and will give the cutest little smile when he does but man, the other times, he says no to everything we ask him to do and he has just been a trouble maker! I am enjoying having a little girl. It has been fun to dress her up in very pretty things and the BOWS! I can't get enough of the bows. Yesterday we had our family and newborn photo session. Again, Mason was great, Collin was a pill and Elyse was AMAZING! She was quite the little model. She feel asleep for most of it and the photographer was very impressed! Recovery: Recovery has been pretty easy compared to my other 2. I didn't tear so I don't have any stitches to deal with so that has been nice. I finally started feeling better on Tuesday. My body ached less basically. My biceps and back were KILLING ME from the actual labor up until Tuesday. Plus I was having a hard time walking because my hip was out of alignment. I saw my chiropractor on Tuesday and since then, I have been SO MUCH BETTER! Weight: Pre-pregnancy weight:237.7. Weight morning of birth: 264.8. Current weight this morning: 251.6. I'm not concerned with weight. I am still very swollen right now. I actually swell more after labor than before. I know that I lose a chunk at first and then through good eating habits and exercise the rest will come off. I won't be doing these every week. I am going to transition to every month after this post so that I can write about both Elyse and my postpartum journey. Which I will be sharing more of here! Be sure to check back often to keep up with everything that is going on!